Excellent ... I had a great stay at this B&B. My host welcomed me into my home. I was certainly made to feel welcome. She also provided essential information. Bed and Breakfast in treviso. 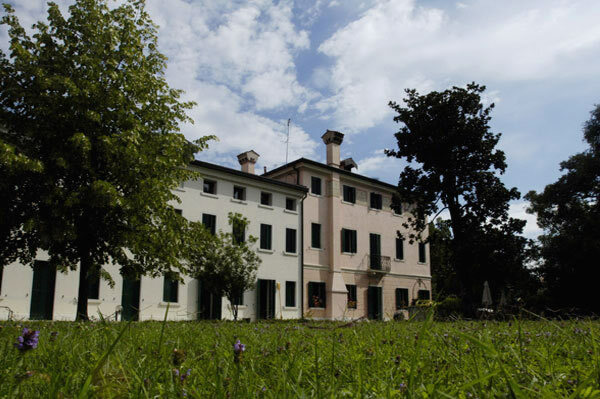 The house on the river is a residential house inf the city of Treviso: immersed in the green park of Sile, surrounded by buonaparte from the river and Sile The Search, offers peace and relaxation. Restored about fifteen years ago has returned to shine its air of pure art nouveau. Equipped with wide halls and spacious rooms can listen to good music or to be immersed in reading books of modern or ancient. Breakfast is served in the dining room, or if the weather permits in the garden of Sile. The city of Treviso is in a central location in Venice, is therefore easy reach of all the most pleasant of Veneto. A few kilometers there is the road of white wine with Montello; Asolo with its castle and its hills; Conegliano and its surroundings; whole Treviso with its many manifestations, the Monte Grappa and its history; Cortina and its Dolomites. Dotata di ampi saloni e camere spaziose permette di ascoltare buona musica o di immergersi nella lettura di libri moderni o antichi. La colazione viene servita nella sala da pranzo o se il tempo lo permette nel giardino del Sile. Double room with private bathroom, equipped with shower cubicle with whirlpool and sauna. Camera "Sun" with a bed and a half square, a large and bright with two windows overlooking the park, served by a bathroom with whirlpool. Room "Mila" with a bed and a half square, a large and bright with two windows that overlook the river, served with a bathroom with whirlpool.